Prostate cancer screening using prostate-specific antigen (PSA) is highly controversial. In this Q & A, Guest Editors for BMC Medicine’s ‘Spotlight on Prostate Cancer’ article collection, Sigrid Carlsson and Andrew Vickers, invite some of the world’s key opinion leaders to discuss who, and when, to screen for prostate cancer. In response to the points of view from the invited experts, the Guest Editors summarize the experts’ views and give their own personal opinions on PSA screening. Sigrid Carlsson and Andrew Vickers are the guest editors of BMC Medicine’s ‘Spotlight on Prostate Cancer’ article collection. Screening for prostate cancer with prostate-specific antigen (PSA) is controversial. Screening is currently transitioning from being an all-or-nothing-question, to finding new ways of individualized testing. However, consensus remains to be reached within guideline groups and worldwide experts regarding who – and when – to screen, if at all. In this Q & A, we invite seven of the world’s key opinion leaders in the field, both proponents and skeptics, to elaborate on what they believe the current screening policy should be. The authors have all published widely on PSA, and comprise a wide variety of experience in areas such as urology, epidemiology, evidence-based medicine, and medical decision-making. Currently, only one guideline group, the United States Preventive Services Task Force (USPSTF), recommends against screening for all men . 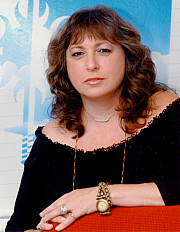 Most other guideline groups recommend shared decision-making, involving a discussion of the pros and cons of screening . To aid in decision-making, some propose using a risk-stratified approach taking into account multiple factors along with a PSA measurement . However, the specifics of such an approach are a subject of debate; for instance, the appropriate age limits of screening remain to be defined. Randomized screening trials, including the European Randomized Study of Screening for Prostate Cancer (ERSPC) and the Göteborg trial [4, 5] have provided evidence that regular PSA-screening can reduce prostate cancer mortality by 21–44 % at 13–14 years of follow-up; the age groups studied in these trials were 55–69 and 50–64 years, respectively. Thus, the question remains regarding the screening of men outside this age range. There is a growing body of evidence on the benefits of commencing screening in the mid-40s. While the American Urological Association (AUA) bases its recommendation on the 55–69 age group based on the ERSPC results , the European Urological Association recommends a baseline PSA be obtained at 40–45 years of age . Our personal view is that PSA screening should indeed involve shared decision-making, but we believe the focus should primarily be on behavior, rather than preference. For this purpose, we have published a decision-support tool called the ‘Simple Schema’ , which acknowledges that the majority of harms of screening result from unnecessary treatment of low-risk disease and therefore focuses on the importance of active surveillance as the appropriate, evidence-based management strategy for low-risk cancer [9–11]. We further believe that PSA screening should be a risk-stratified approach aimed at detecting lethal prostate cancer. This is based on evidence that only a small proportion of men with moderately elevated PSA have aggressive disease  and that overdiagnosis is strongly influenced by age and PSA levels. For instance, we have shown that almost half of the excess incidence of cancer associated with PSA testing occurs in men over 70  – a group in which screening is likely of little, if any, benefit [5, 13] – and that the effects of screening men in their 60s is highly dependent on their PSA level, with an excellent ratio of harms to benefits in patients with PSA ≥2 ng/mL but zero benefit in patients with a lower PSA . Therefore, the current guidelines in place at Memorial Sloan Kettering Cancer Center restrict screening in men over 60 to those with above average PSAs and dramatically restrict screening in men over 70 to a small number of men with exceptional health and high PSA . 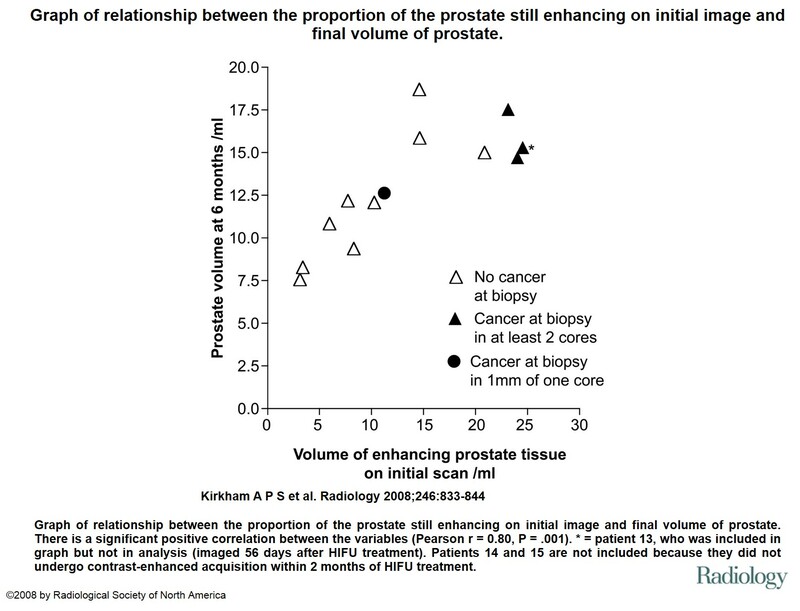 Additionally, biopsy is recommended only after a repeat PSA and further work-up, and the frequency of screening is stratified depending on baseline PSA, which has been shown to be a very strong predictor of long-term prostate cancer metastasis and death [16–18]. 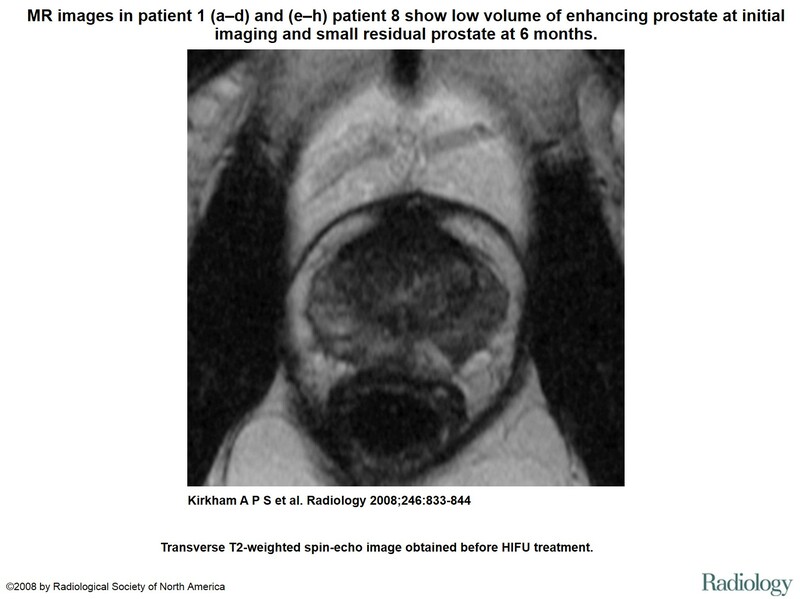 M Leapman & P Carroll: Prostate cancer is a highly prevalent disease that exhibits considerable variation in clinical behavior; some men will enjoy long lives with low-grade disease without treatment, while a significant, but smaller number may succumb to a devastating metastatic burden. 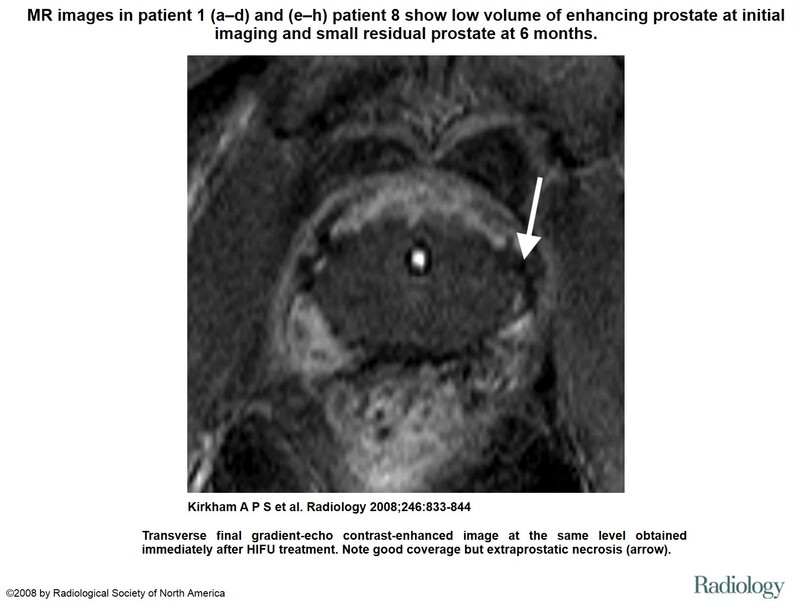 Therefore, the current challenge faced in the early management of prostate cancer is to identify and treat disease in men likely to obtain benefit while sparing unnecessary detection and, most importantly, treatment in those who will not. Compelling randomized evidence suggests that PSA screening of asymptomatic men is associated with a significant reduction in death from prostate cancer. The recent 13-year update of the ERSPC trial, a multi-centered study examining prostate cancer mortality among participants aged 50–74 receiving regular PSA screening compared with no routine screening, has demonstrated a relative risk of death from prostate cancer of 0.79 (95 % CI, 0.69–0.91, P = 0.001) in favor of screening men aged 55–69 years. Moreover, when adjusting for non-participation, the reduction in risk increased to 27 % (95 % CI, 0.61–0.88, P < 0.0007) . Naturally, screening can only reduce mortality by effecting treatment of clinically significant disease, as was observed in the ERSPC experience, in which substantially more cancers were diagnosed and subsequently treated . It is true that eliminating PSA screening will obviously decrease the number of ‘insignificant’ prostate cancer cases detected; however, this would come at the imprudent expense of ignoring disease in intermediate and high-risk patients who may stand to benefit substantially. Indeed, the rationale for treatment in appropriate patients is redoubled by randomized evidence suggesting improvement in survival and metastatic progression with timely treatment of threatening cancers . However, an overall improvement in prostate cancer mortality is alone insufficient to justify expansive screening and treatment of all men if such a strategy will expose those harboring non-lethal tumors to a non-trivial risk of adverse quality of life outcomes; one should not screen if overdiagnosis is followed by overtreatment . Ultimately, the landscape of early prostate cancer detection may not truly be cast in a monochromatic decision palette, namely to screen with PSA or not to screen. Rational practices including the screening of healthy men with a long life expectancy starting at age 45, cessation of screening in those with significant co-morbidity and those of advanced age, extending the interval of screening in most men (2–4 years), and discontinuing screening for those with low-risk profiles at certain ages alone would significantly improve the efficiency of early detection. 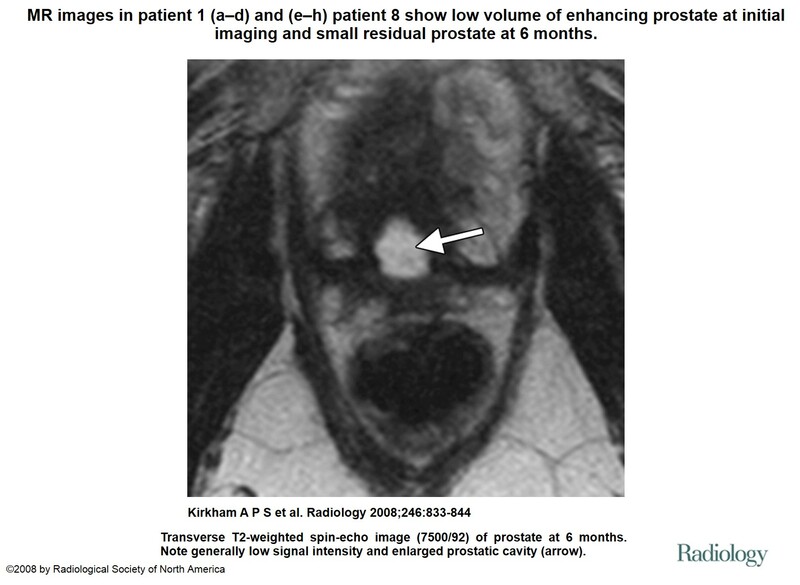 In addition, nuanced strategies for prostate cancer detection and management represent an auspicious frontier. 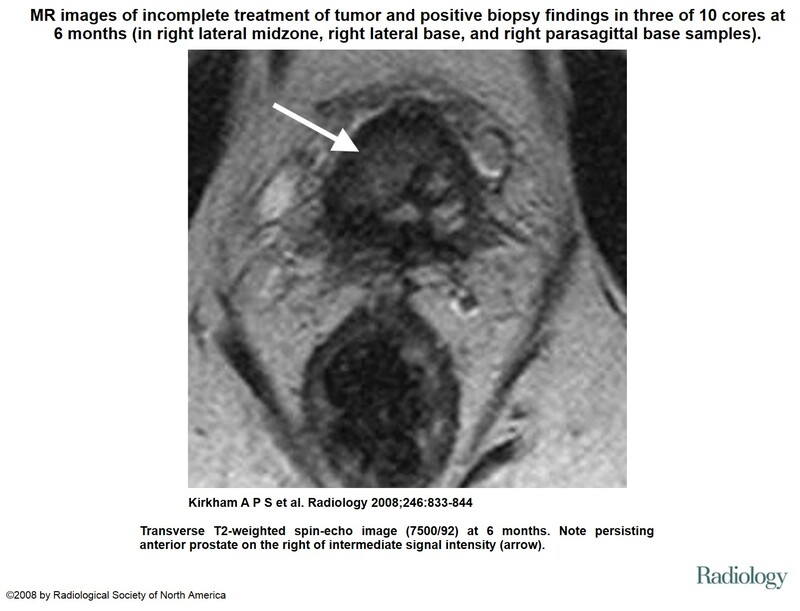 Although not validated in randomized trials of screening techniques, assays incorporating novel PSA isoforms – including the 4-Kallikrein panel  and the Prostate Health Index  – appear to add much needed specificity for the detection of high-grade (Gleason ≥7) prostate cancer at a diagnostic prostate biopsy, thereby potentially reducing the number of unnecessary biopsies performed. 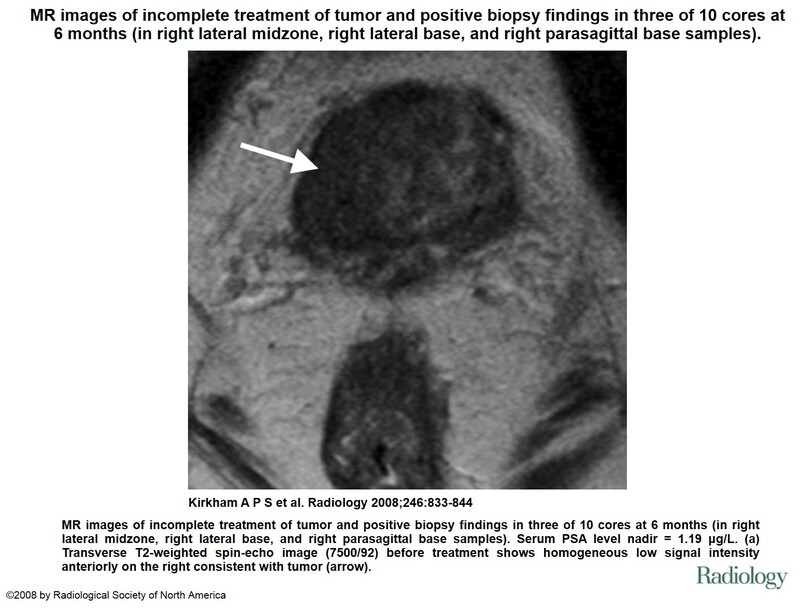 Advanced imaging modalities, including multi-parametric MRI, may also better refine the candidacy and yield of biopsy . 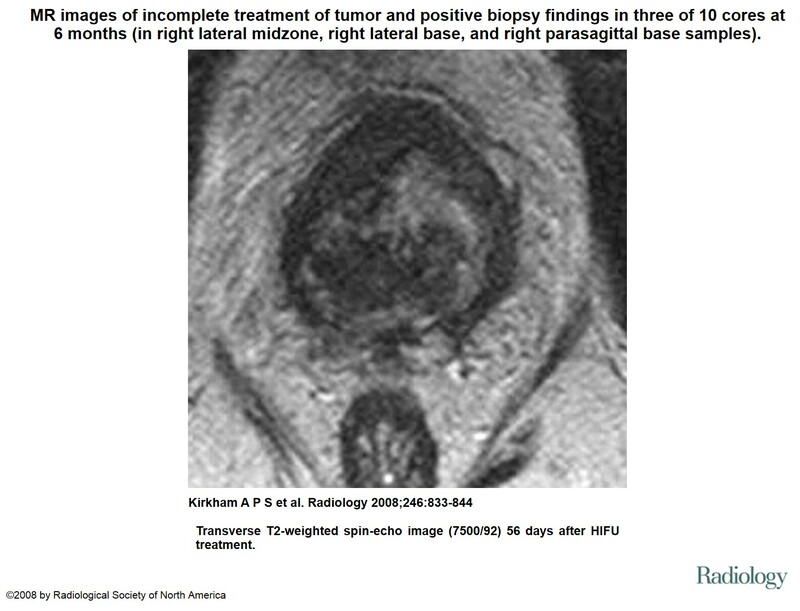 Among newly diagnosed patients, tumor-based risk stratification methods  and favorable long-term experiences with active surveillance  are poised to improve the confidence and quality with which incidental tumors are managed. Such measures, being currently clinically implemented, are highly promising means to cultivate better screening; these methods will highlight prostate cancer requiring attention while disregarding or proposing active surveillance of those that do not. F Schröder: In my view, the time for population-based screening has not come and may never do so. The main reason for my pessimistic view on this issue is the high probability (of approximately 40 %) of diagnosing cancers which will not progress clinically, cause symptoms, or lead to death (overdiagnosis) . 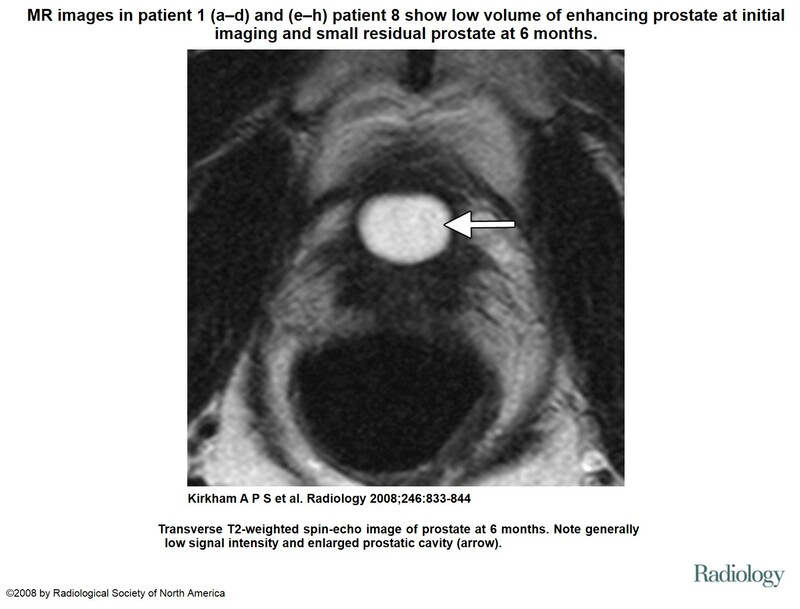 While there are methods available to decrease overdiagnosis, such as the use of risk calculators and multiparametric MRI of the prostate, these have not been sufficiently validated in multicenter use to establish their accuracy in routine clinical practice. As a main contributor and former principal investigator of the ERSPC screening trial, I am delighted to see increasing worldwide acceptance of the recommendation of our group, including in US, European, and Russian guidelines to apply ‘shared decision-making’. We recommend the use of a procedure developed on the basis of ERSPC data, which is freely available on the website of the SIU . A Vickers and S Carlsson [to M Leapman and P Carroll]: Could you please clarify what you think current policy should be and whether all men should be screened? M Leapman & P Carroll: On the basis of randomized screening trials, PSA screening should be offered to healthy individuals without known risk factors for prostate cancer beginning at age 45 [5, 27]. No stark policy, however, will account for the complexities involved with screening and early diagnosis of prostate cancer. As a result, screening of asymptomatic men should be approached in the setting of a shared decision between a patient and physician cognizant of the individual’s age, health status, personal preferences, and risk factors including family history, race, prior PSA, and biopsy status. As noted above, the efficiency of screening can be improved and contemporary screening guidelines are incorporating refinements as suggested . A Vickers and S Carlsson: You say that “ discontinuing screening for those with low baseline risk profiles [would]significantly improve the efficiency of [PSA] screening ”. Could you give a specific example of the profile of a man for whom screening should be discontinued? M Leapman & P Carroll: Obviously, those in poor health or of advanced age do not benefit from early detection efforts. The optimal frequency of PSA testing has not been explicitly compared in a randomized fashion, but screening at 2–4 year intervals appears appropriate in low-risk patients based on PSA levels. Baseline PSA status may offer a valuable insight into a patient’s further risk for harboring or developing significant prostate cancer. Persuasive evidence from a Swedish population-based cohort examining PSA levels at age 60 suggests that men with levels <1 ng/mL possess a low (near zero) risk of prostate cancer death in extended follow-up [14, 17]. It would be reasonable to forego further screening of a 60-year-old without other known risk factors with baseline PSA <1 in the absence of cause. F Schröder: Weighing pros and cons of a medical procedure will always remain the responsibility of the person at risk. We, as doctors and urologists, have to help by addressing the questions arising after reading the first section of the decision aid, which is only one page. should PSA be avoided entirely in asymptomatic men, or should screening be restricted to certain subgroups and, if so, whom? P Albertsen: Few cancers generate as much controversy as prostate cancer concerning screening, diagnosis, and treatment. From 1977 to 2005, the lifetime risk of prostate cancer diagnosis in the US increased from 7.3 % to 17 % [31, 32]. During this same period, the lifetime risk of dying from prostate cancer fell from 3.0 % to 2.4 %. My views on prostate cancer screening and treatment have been shaped by my training in urology at Johns Hopkins and epidemiology and public health at the University of Wisconsin, as well as by my patients. One patient in particular had a powerful influence. He was referred for treatment of a localized prostate cancer and underwent successful surgery. His postoperative PSA was undetectable and all surgical margins were negative. I told him he was cured only to have him return 2 years later with widespread metastases. I treated him successfully with anti-androgen therapy for an additional 16 years. According to the Halsted model of cancer progression he should have been cured by surgery . I had the original specimen re-cut to document negative margins and concluded that we had a poor understanding of the natural history of this disease and the efficacy of treatment. 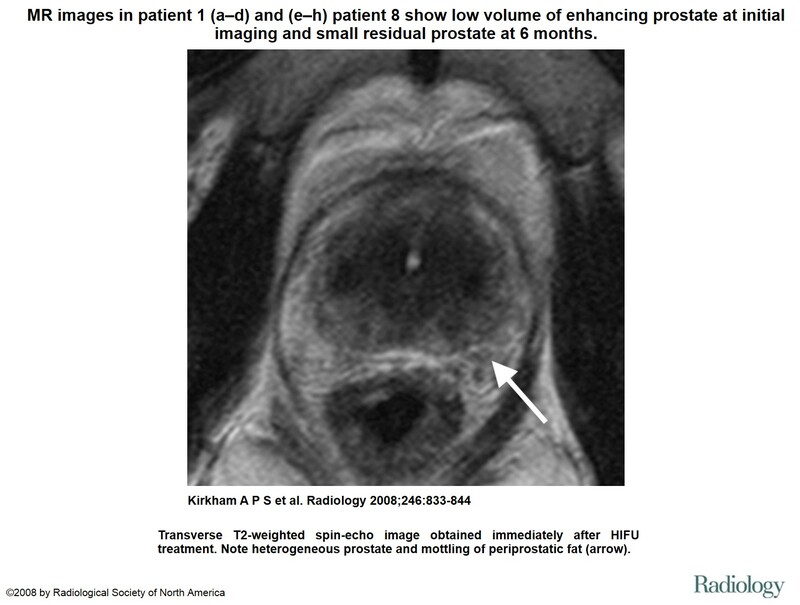 To address this problem, I developed a Markov model of prostate cancer progression. With the assistance of Jack Wennberg’s research group, the model was published in JAMA . At the time, it was severely criticized by the urologic community, but when reviewed today the model bears a remarkable resemblance to data recently published by the SPCG-4 . The sensitivity analysis indicated that data concerning the natural history of this disease was most critical to estimating the relative value of intervention. 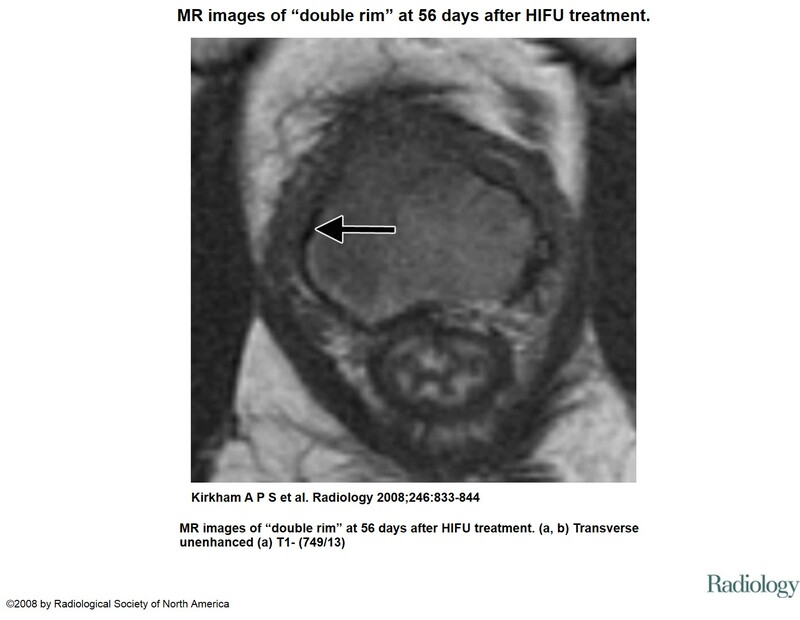 This is why I gathered data on the natural history of this disease from patients enrolled in the Connecticut tumor registry and published them in JAMA in 1998 and 2005 [36, 37]. My training in epidemiology taught me to view healthcare delivery from a public health perspective. Screening programs were best assessed by addressing four key questions: (1) Is prostate cancer a suitable disease for screening? 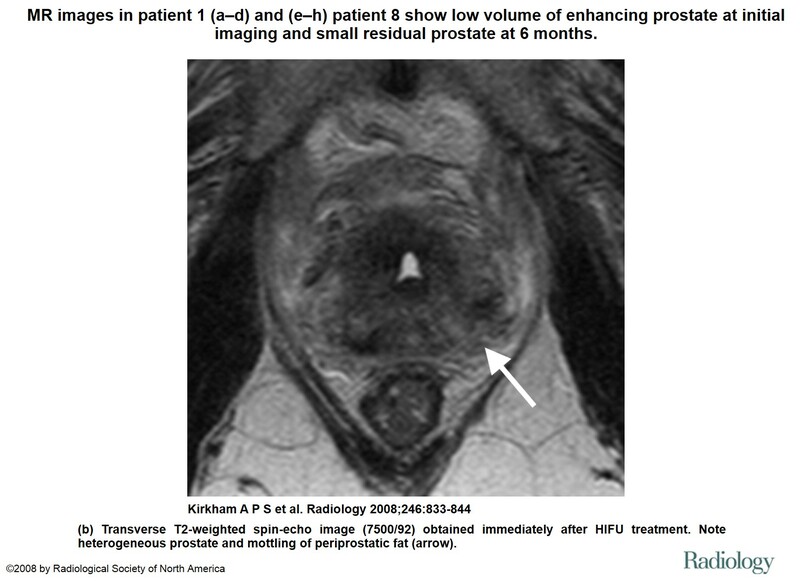 (2) Is treatment for prostate cancer effective? (3) Is PSA an effective screening test for this disease? (4) Does screening result in any harm? 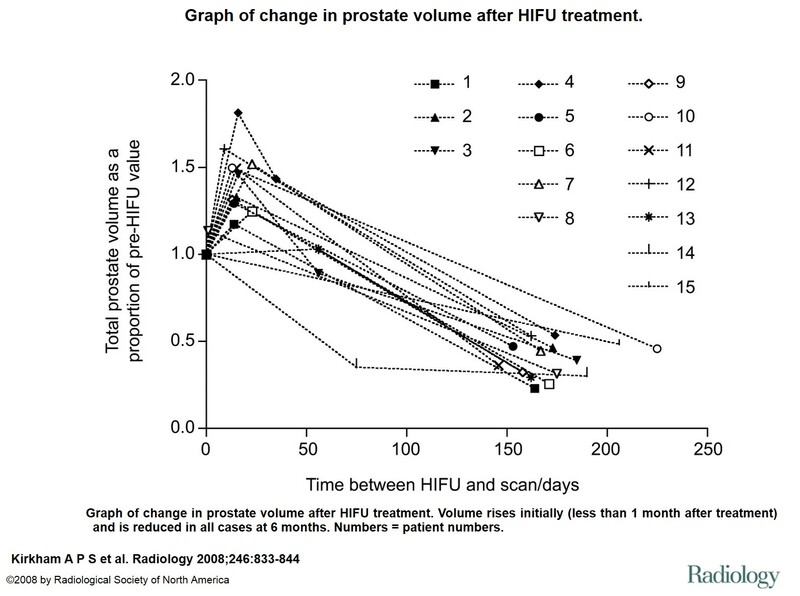 Only recently have we begun to appreciate that a large number of men harbor indolent disease, as clearly demonstrated by data from the Finasteride Chemoprevention trial . Many pathologists now question whether Gleason 3 + 3 tumors are sufficiently aggressive to cause morbidity . Indeed, recent data from the ERSPC trials suggest that half of all screen-detected cancers are indolent . The efficacy of treatment also poses problems. 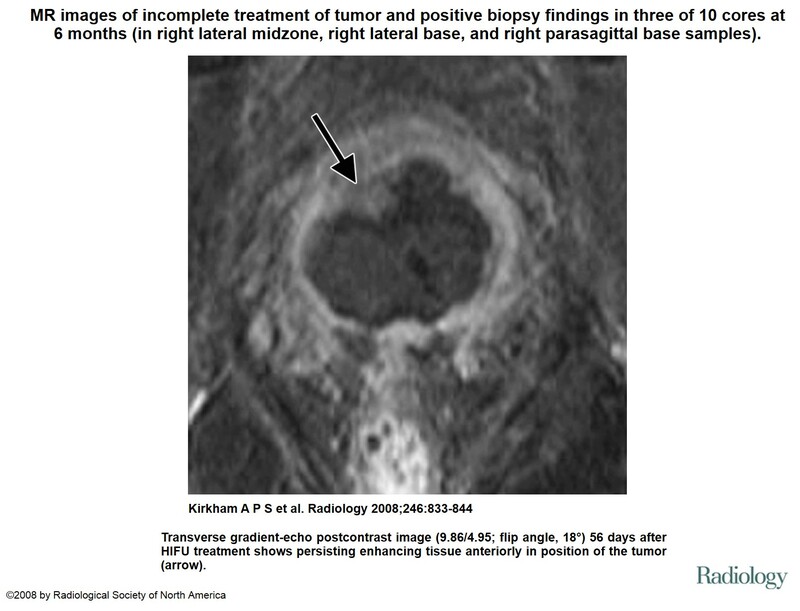 Most urologists and radiation therapists assume that surgery and radiation are curative. However, what do the data say? The SPCG-4 suggests that some men are cured by surgery, but many men are not . Further, men with high-grade disease often die from prostate cancer despite surgery and that surgery is primarily palliative for men aged over 65. With regards to radiation, even less information concerning its efficacy is available to date. How well does PSA perform as a screening tool? Unfortunately, many lethal tumors produce low amounts of PSA and are missed by screening studies. Additionally, prostate enlargement, prostatitis, and surgical manipulation can lead to a significant number of false positive values. Finally, screening can result in considerable morbidity as documented by the USPSTF report . I have been an advocate of active surveillance for men with low-grade disease . Data from the ProTECT trial should provide important new data concerning efficacy when published in the spring of 2016 . 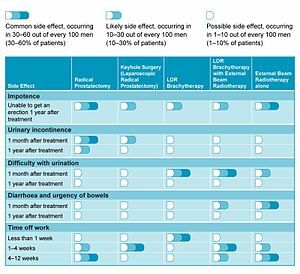 Ideally, screening should only identify men destined to suffer from clinically significant disease and patients should only be offered treatments that yield substantial benefit. D Ilic: Prostate cancer is a leading cancer affecting men worldwide . Despite its high prevalence, the current evidence suggests that screening asymptomatic men for prostate cancer is not warranted [1, 43]. The most recent Cochrane systematic review identified five randomized controlled trials examining the effectiveness of screening . A meta-analysis of data from those five trials determined no significant difference in prostate cancer mortality between men randomised to screening in comparison to those who were not (risk ratio (RR) = 1.00; 95 % CI, 0.86–1.17) . Only two of the five randomized controlled trials included in the 2013 systematic review were determined to methodologically present a low-risk of bias . The point of interest lies in the differing results and conclusions offered by two studies: the ERSPC and the Prostate, Lung, Colorectal and Ovarian (PLCO) cancer screening trial [27, 44]. In 2014, the ERSPC published 13-year follow-up data, reporting a 21 % reduction in the risk of prostate cancer mortality through screening (RR = 0.79; 95 % CI, 0.69–0.91) . A sub-group analysis of prostate cancer mortality by age at randomization identified a significant decrease in prostate cancer mortality in the 65–69 year age group (RR = 0.69; 95 % CI, 0.55–0.87). No statistically significant difference in prostate cancer mortality was observed between screening and control groups in men aged <54, 55–59, and 60–64 years . The results also suggest that screening is not beneficial in men aged over 70 years (RR = 1.17; 95 % CI, 0.82–1.66). The ERSPC study authors concluded that, “…the time for population-based screening has not yet arrived…” . P Albertsen: Based upon what we know in 2015, PSA testing does benefit some men. For this reason I strongly support the recommendations of the AUA. These guidelines were based extensively on the data provided by the ERSPC. However, we need to do better. I am aware of your work with Hans Lilja, suggesting that a PSA value at age 50 is predictive of the long-term probability of developing clinically significant prostate cancer . I believe we can refine the group of men who should be tested. We also need to incorporate the natural increase in PSA that comes with prostate enlargement that occurs when a man ages through his 50s and 60s. A graphic chart that tracks PSA levels or, possibly, percent free-PSA or the new prostate health index test against age and prostate volume, similar to a pediatric growth chart, might be helpful. 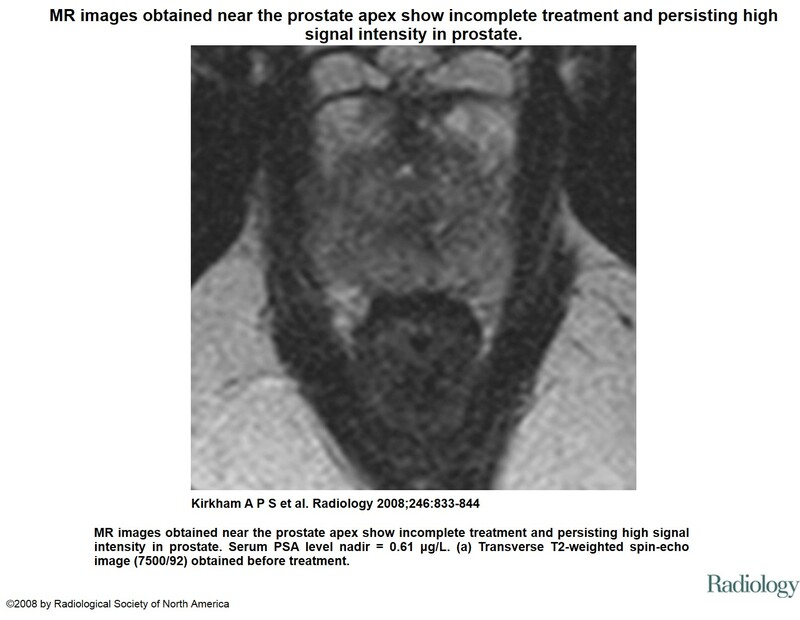 Men consistently falling outside the 90th percentile, for example, might undergo MRI testing before considering a prostate biopsy. All of these refinements should be aimed at lowering the incidence of low-volume, low-grade cancer. In my mind, we have yet to define a best practice screening and treatment algorithm. 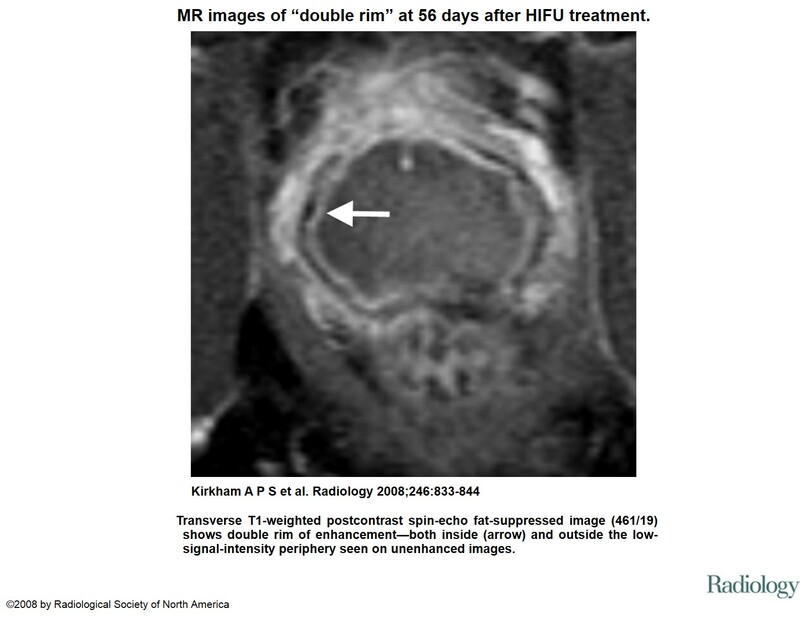 While the AUA recommendations are a start, we have not agreed upon the test(s) needed, the frequency of their application, the value of imaging versus biopsies, nor on which treatments work best for which patients. Impact of the U.S. Preventive Services Task Force Recommendations Against PSA Screening on Prostate Biopsy and Cancer Detection Rates. B Bhindi, M Mamdani, GS Kulkarni, A Finelli, RJ Hamilton, J Trachtenberg, et al. To determine if the USPSTF recommendation against PSA screening was associated with a change in biopsy and cancer detection rates. We conducted a time series analysis (10/2008-06/2013) of prostate biopsies performed at University Health Network (Toronto). 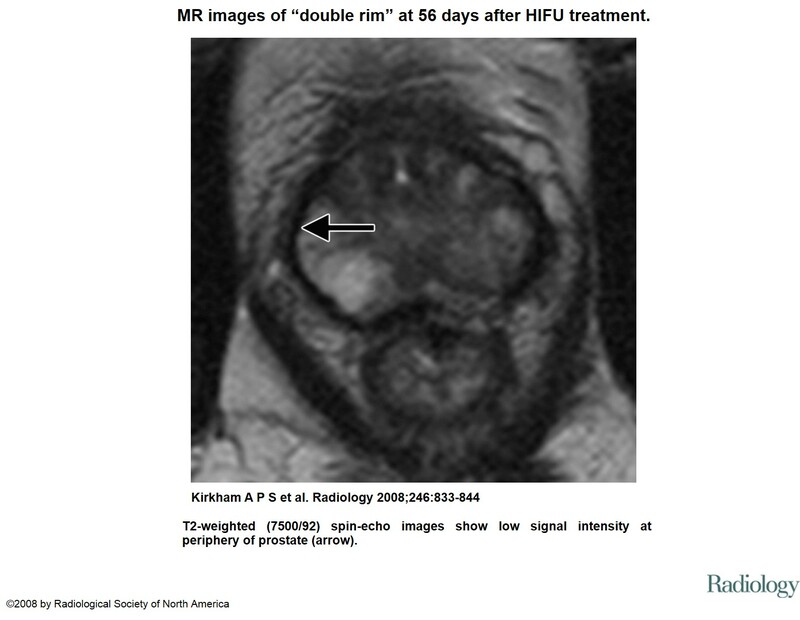 Biopsies for active surveillance or solely targeting MRI-detected lesions were excluded. Interventional auto-regressive integrated moving average (ARIMA) models with step functions were used to examine changes in the number of biopsies performed and cancers detected per month. Low risk PC (LRPC) was defined as no Gleason pattern ≥4, ≤3 cores involved or ≤1/3 of total number of cores involved, and no core with >50% cancer involvement. 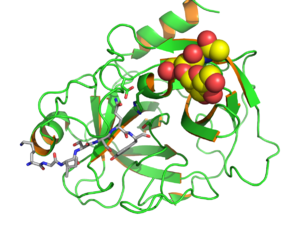 Intermediate-to-high grade PC (I-HGPC) was defined as Gleason 7-10. A total of 3408 biopsies were performed and 1601 (47.0%) PCs were detected (LRPC=563 (16.5%); I-HGPC=914 (26.8%)). The median number of biopsies per month decreased from 58.0 (IQR=54.5-63.0) before recommendations to 35.5 (IQR=27.0-41.0) afterward (p=0.003), while median number of patients undergoing their first-time biopsies decreased from 42.5 (IQR=37.5-45.5) to 24.0 (IQR=19.0-32.5, p=0.025). The median number of LRPCs detected per month decreased from 8.5 (IQR=6.5-10.5) to 5.5 (IQR=4.0-7.0, p=0.012), while the median number of I-HGPCs per month decreased from 17.5 (IQR=14.5-21.5) to 10.0 (IQR=9.0-12.0, p<0.001). Following the USPSTF recommendation, the number of biopsies performed (total and first-time biopsies), based on referrals from our catchment area, have decreased. This is likely due to decreased use of PSA-screening. Although encouraging that fewer low risk PCs are being diagnosed, the sudden decrease in the detection rate of Gleason 7-10 PCs is concerning. E Lalonde, AS Ishkanian, J Sykes, M Fraser, H Ross-Adams, N Erho, et al. The Lancet Oncology 12/2014; 15(13):1521-32. 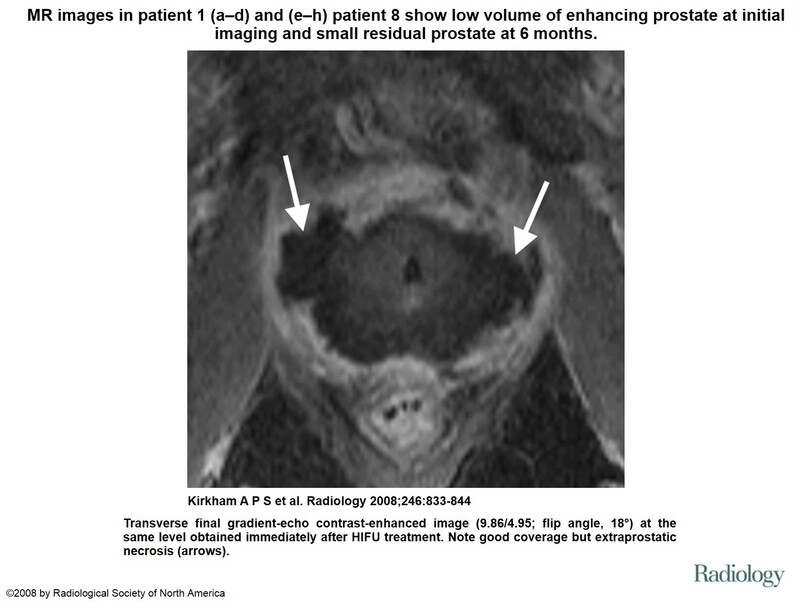 Clinical prognostic groupings for localised prostate cancers are imprecise, with 30-50% of patients recurring after image-guided radiotherapy or radical prostatectomy. We aimed to test combined genomic and microenvironmental indices in prostate cancer to improve risk stratification and complement clinical prognostic factors. 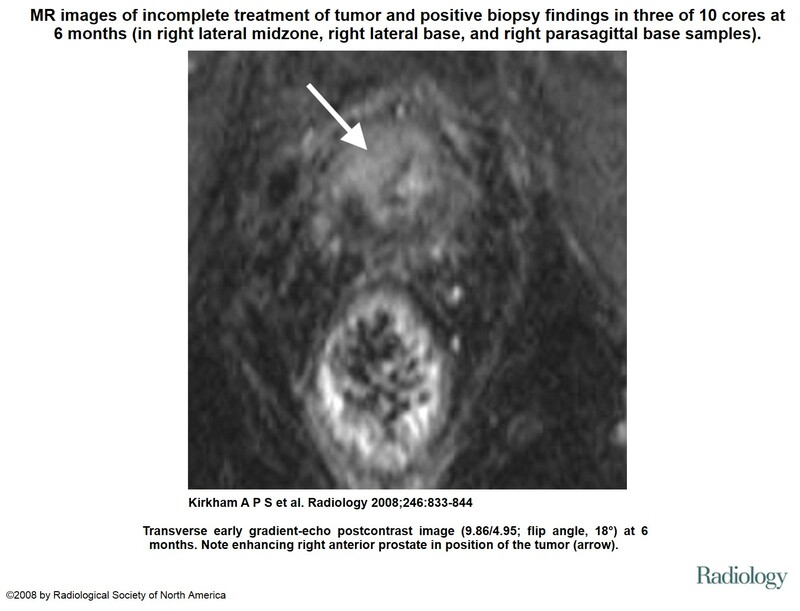 We used DNA-based indices alone or in combination with intra-prostatic hypoxia measurements to develop four prognostic indices in 126 low-risk to intermediate-risk patients (Toronto cohort) who will receive image-guided radiotherapy. We validated these indices in two independent cohorts of 154 (Memorial Sloan Kettering Cancer Center cohort [MSKCC] cohort) and 117 (Cambridge cohort) radical prostatectomy specimens from low-risk to high-risk patients. We applied unsupervised and supervised machine learning techniques to the copy-number profiles of 126 pre-image-guided radiotherapy diagnostic biopsies to develop prognostic signatures. Our primary endpoint was the development of a set of prognostic measures capable of stratifying patients for risk of biochemical relapse 5 years after primary treatment. Biochemical relapse was associated with indices of tumour hypoxia, genomic instability, and genomic subtypes based on multivariate analyses. We identified four genomic subtypes for prostate cancer, which had different 5-year biochemical relapse-free survival. Genomic instability is prognostic for relapse in both image-guided radiotherapy (multivariate analysis hazard ratio [HR] 4·5 [95% CI 2·1-9·8]; p=0·00013; area under the receiver operator curve [AUC] 0·70 [95% CI 0·65-0·76]) and radical prostatectomy (4·0 [1·6-9·7]; p=0·0024; AUC 0·57 [0·52-0·61]) patients with prostate cancer, and its effect is magnified by intratumoral hypoxia (3·8 [1·2-12]; p=0·019; AUC 0·67 [0·61-0·73]). A novel 100-loci DNA signature accurately classified treatment outcome in the MSKCC low-risk to intermediate-risk cohort (multivariate analysis HR 6·1 [95% CI 2·0-19]; p=0·0015; AUC 0·74 [95% CI 0·65-0·83]). In the independent MSKCC and Cambridge cohorts, this signature identified low-risk to high-risk patients who were most likely to fail treatment within 18 months (combined cohorts multivariate analysis HR 2·9 [95% CI 1·4-6·0]; p=0·0039; AUC 0·68 [95% CI 0·63-0·73]), and was better at predicting biochemical relapse than 23 previously published RNA signatures. 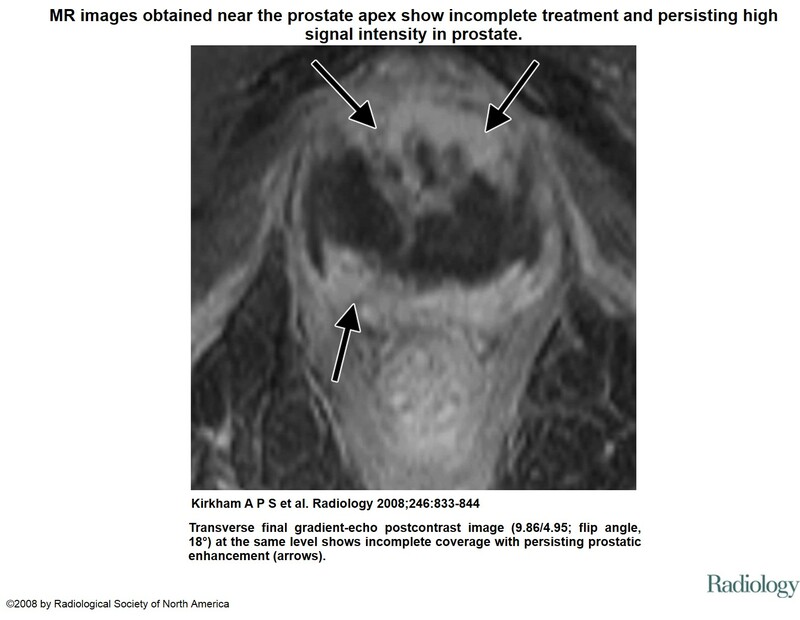 Prostate cancer: Is prostatectomy for Gleason score 6 a treatment failure? Currently, the use of two classification systems for bladder cancer grade is advocated in clinical guidelines because the WHO2004 classification has not been sufficiently validated with biological markers and follow-up. The slides of 325 primary non-muscle invasive bladder cancers from three hospitals were reviewed by one uro-pathologist in two separate sessions for the WHO1973 (G1, G2 and G3) and 2004 (papillary urothelial neoplasm of low malignant potential (LMP), low-grade (LG) and high-grade (HG)) classifications. FGFR3 status was examined with PCR-SNaPshot analysis. Expression of Ki-67, P53 and P27 was analyzed by immuno-histochemistry. Clinical recurrence and progression were determined. We performed validation and cross-validation of the two systems for grade with molecular markers and clinical outcome. Multivariable analyses were done to predict prognosis and pT1 bladder cancer. Grade review resulted in 88 G1, 149 G2 and 88 G3 lesions (WHO1973) and 79 LMP, 101 LG and 145 HG lesions (WHO2004). Molecular validation of both grading systems showed that FGFR3 mutations were associated with lower grades whereas altered expression (Ki-67, P53 and P27) was found in higher grades. Clinical validation showed that the two classification systems were both significant predictors for progression but not for recurrence. Cross-validation of both WHO systems showed a significant stepwise increase in biological (molecular markers) and clinical (progression) potential along the line: G1-LG-G2-HG-G3. The LMP and G1 categories had a similar clinical and molecular profile. On the basis of molecular biology and multivariable clinical data, our results support a four-tiered grading system using the 1973 and 2004 WHO classifications with one low-grade (LMP/LG/G1) category that includes LMP, two intermediate grade (LG/G2 and HG/G2) categories and one high-grade (HG/G3) category.Modern Pathology advance online publication, 28 November 2014; doi:10.1038/modpathol.2014.154.